We had our first Kashmiri Music Concert in the USA, starting in April, 2015. Three young and talented musicians from Kashmir, were joined by two equally talented musicians from Chicago. They performed in six US cities, Washington DC, Ellicott City MD, New Rochelle NY, Los Angeles CA, Dallas TX and Buffalo NY. Irfan, Bilal and Mahmeet came to US for the first time. Habib Wardak and George joined them in all the Concerts. Habib played the Rabab and George accompanied them on Tumbakh. Irfan and Bilal are multi instrumentalists. We dedicated our first music concert to our beloved Mushtaq Dar Sahib. Mushtaq was a legendary santoor player. He left us for a better place, one year ago. The concert was a voluntary effort of the musicians who held him in high esteem and wanted this evening to be a tribute to his legacy. Funkarinternational released it's new CD " Badam Phulay " on this occasion. Badam Phulay is an instrumental audio CD of Kashmiri musical instruments. Pathar Masheed is situated in the heart of Srinagar, the capital of the State of Jammu and Kashmir. Pathar Masheed which literally means the Stone Mosque is certainly one of the most beautiful mosques in the city. 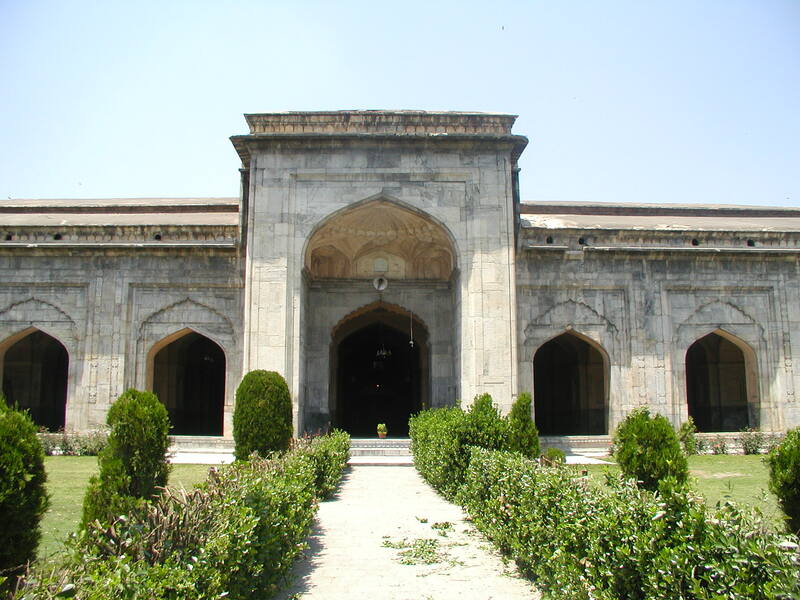 It was built by the Moghul Queen Nur Jahan in 1623 AD. Funkar produced it's first audio CD in 1999." Saaz Tih Awaaz" was the first Kashmiri audio CD ever produced. Legendary singers like Hassan Sofi, Raaj Begum and Naseem Akhtar are featured in this CD. In keeping with the mission of Funkar to promote new and upcoming artists , Sarmadiya Shafi was introduced. Funkar's next CD" Maenzraath" , Kashmiri Wedding Songs was produced in 2007. This CD presents the vibrance, melody and pathos reflective of the Kashmiri Wedding scene.